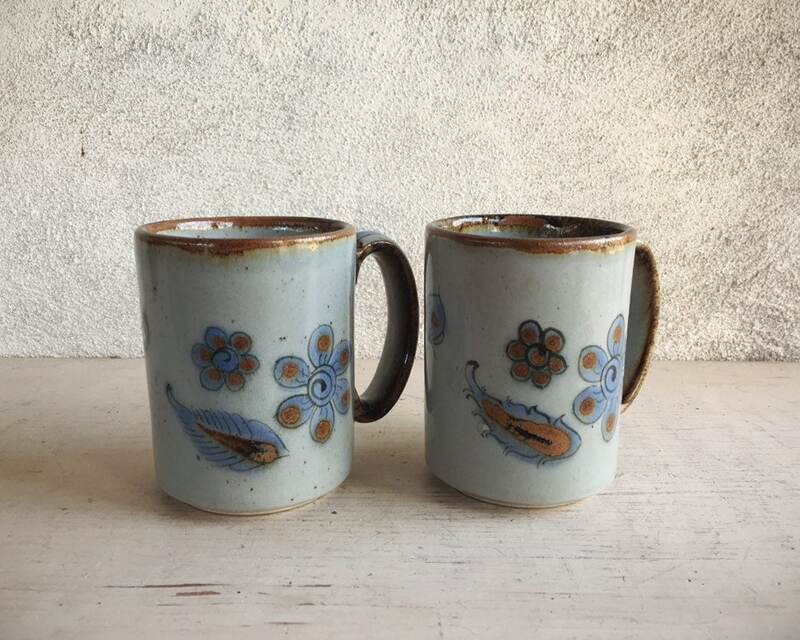 Here we have a set of two vintage mugs from El Palomar in Tonalá, Mexico, a studio made famous by American potter Ken Edwards. Ken Edwards would be about 96 years old now, and the last research I've found on him have him living in Guatemala, although El Palomar is still in operation. 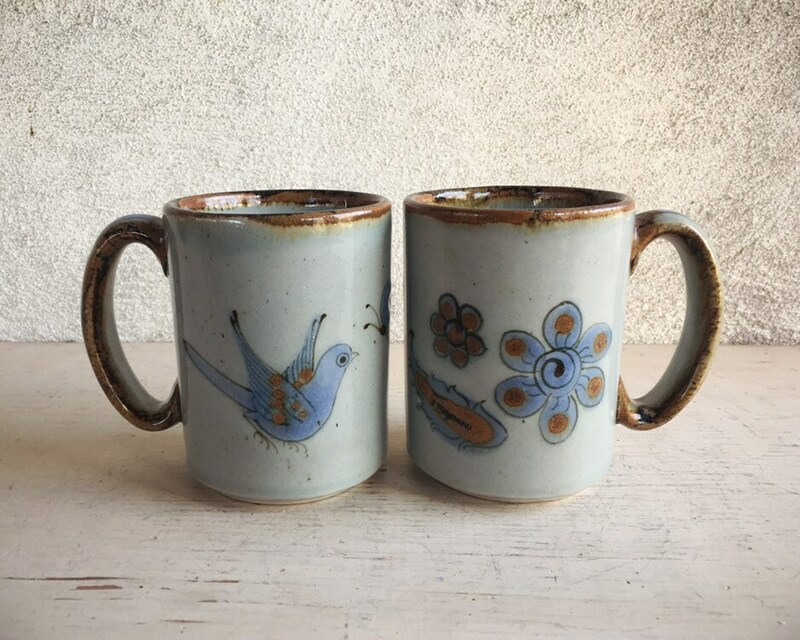 Edwards studied his craft in Japan, went to Mexico in 1954 and along with renowned Mexican ceramicist Jorge Wilmot introduced high-fire ceramics-- wares fired at over 1000C which vitrifies the clay and eliminates the need for lead-based glazes--to the Guadalajara area. Wilmot mostly kept local traditional designs although some Oriental influence is mixed in as well, along with Asian glazing processes. Edwards introduced new designs with the techniques. 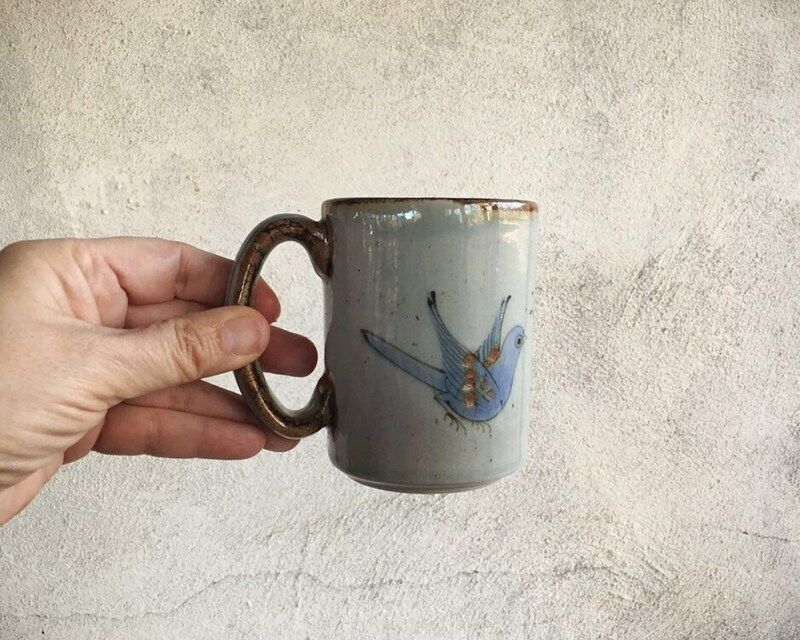 This mugs are not signed by Edwards but carry the El Palomar hallmark and have different animal and insect symbols, representing different potters. 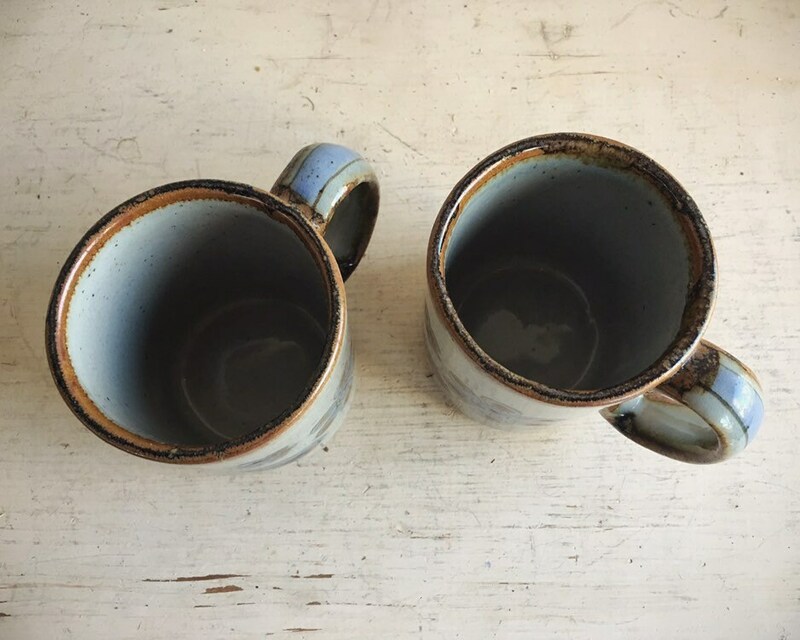 I have six mugs total and am selling them in pairs, as some households don't need as many as six. 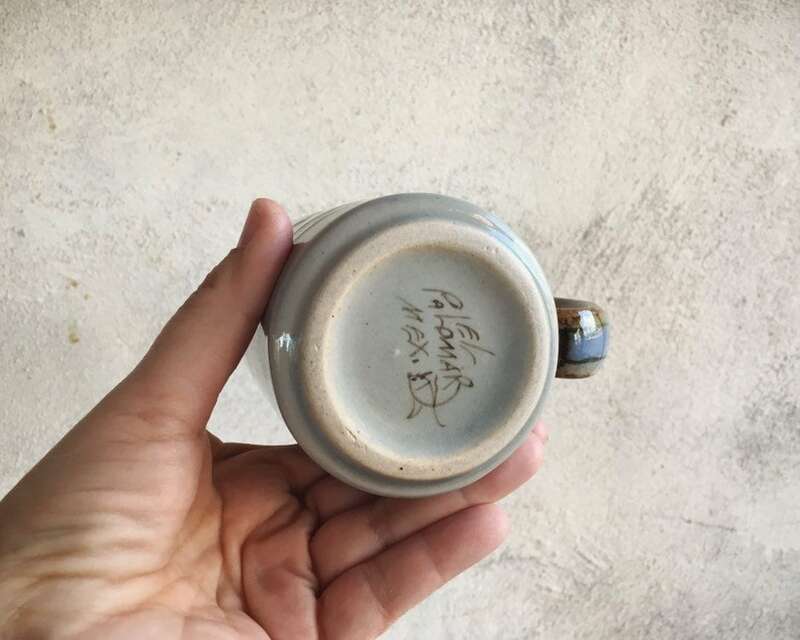 The signature on the bottom may vary from the photo I've included. 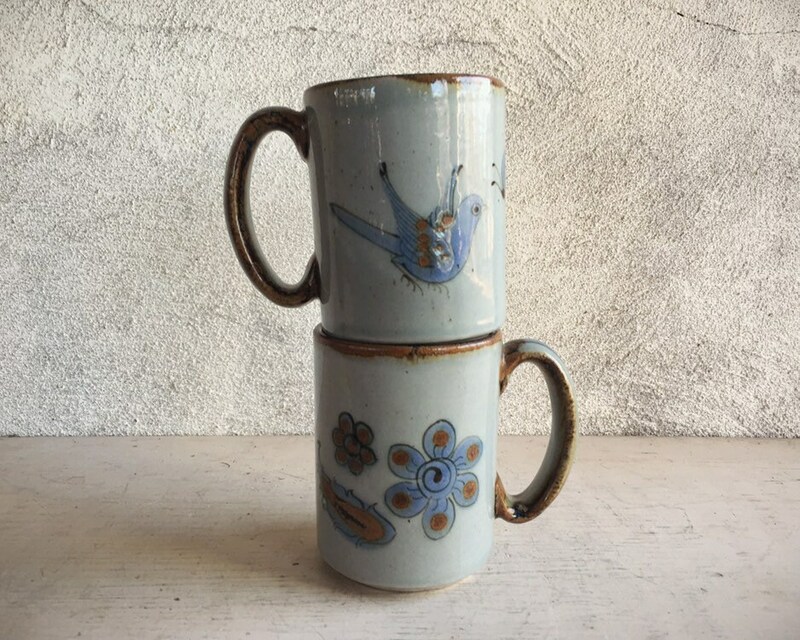 The mugs are 4" tall and 3" in diameter and each holds 8 oz. Minimal crazing, no cracks or chips. Beautiful Tonalá for display or to start your morning. 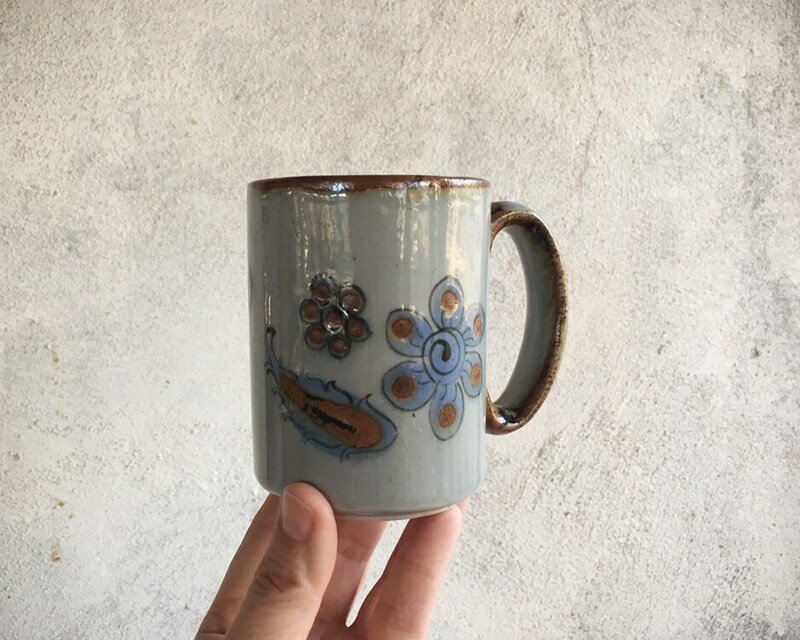 Fast delivery, my mugs are beautiful!